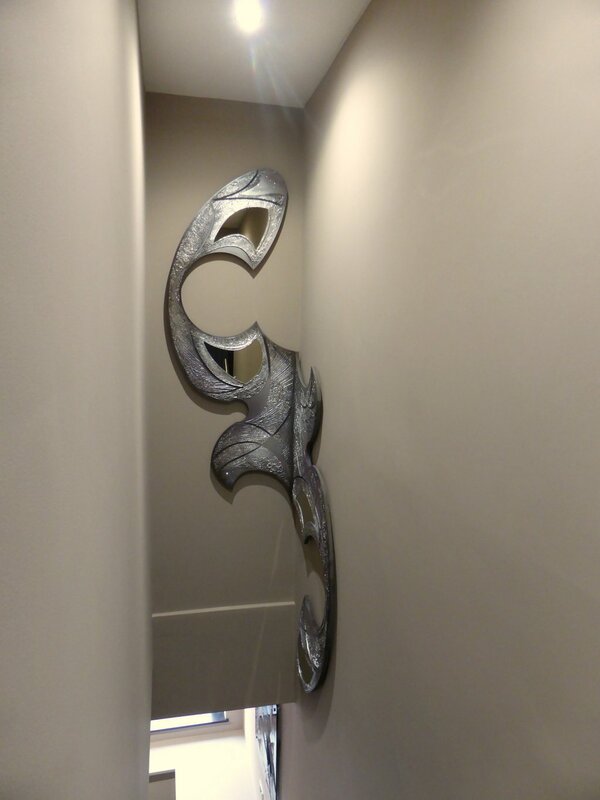 This latest wall sculpture in two pieces was fitted in to a corner, making it a very unusual piece. The sculpture incorporates bronze mirror pieces creating a new dimension and extra reflection in addition to metallic finishes through out. It stands off the wall by about 1” which makes it look like it is “floating”. This stunning piece transformed what was an un-interesting and dull space. This artwork draws your attention away from the fact that the stairs are narrow changing them in to a very special staircase.